Alcohol abuse can damage the liver. Heavy drinking poses more risk of damage to liver. The duration for which one has been drinking also increases the risk. Most advanced symptoms are significant. Liver the second largest organ in human body and located under the rib cage, on the ride side is responsible for performing several crucial jobs inside the body. It’s the job of your liver to process everything you eat and drink and convert it into energy and nutrients for the body. Apart from that liver also performs the most important job of removing harmful substances from the blood. But there are few things that can harm the liver resulting in liver diseases and alcohol seems to somewhere at the top of that list. 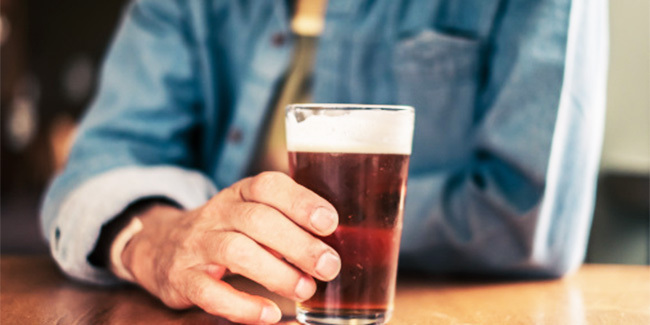 Regardless of your love or hate for alcohol you need to be aware of all the possible risks alcohol can pose to your health including liver problems. While drinking once in a while may help lift up your mood or boost your social life, but drinking frequently may result in alcohol liver problems. Alcohol is one of the most common causes of liver damage. So how do you tell if someone is suffering from liver diseases caused by alcohol? Since alcohol and liver disease go hand in hand here are some of the most common signs and symptoms of alcoholic liver disease. The common early symptoms include abdominal pain, fatigue, diarrhoea and feeling sick. The early symptoms may not be significantly hint at any sort of liver damage however if you experience such symptoms you should contact your doctor and ensure your liver is healthy. On the other hand, people who have been heavy drinking for several years are likely to experience symptoms that are more serious than the early symptoms. The advanced symptoms may include jaundice, inflammation of the legs, ankles and feet, abdomen pain and swelling, high temperature, itchy skin, hair loss, blotchy red palms, weight loss, weakness, vomiting blood and tarry stools. Drinking alcohol may not be harmful, in fact some studies have found that moderate drinking may even be good for your health. It is the heavy drinking that poses some severe health risks. Alcoholic liver diseases develop after several years of heavy drinking. When a person starts heavy drinking, over time scarring of the liver may occur. When the damage to the liver is significant cirrhosis may occur. While heavy drinking poses severe health risks for anyone, not everyone into heavy drinking develops alcoholic liver disease. The risk increases with the amount of alcohol a person consumes and for how many years. Studies have also been able to link alcoholic liver disease with inheritance. Researchers believe that some families are more at risk of developing the disease than others. Similarly, women are at a higher risk of developing the disease as compared to men.